We pride ourselves to be a trusted company in installing, servicing and repairing garage doors and gates as well. Here at Garage Door Repair in Laguna Hills, we value our customers and that’s why only the best product and the best service is what we offer. Our team of highly skilled workers is equipped with the knowledge that can handle not only garage door problems but also gates. If you have trouble with both your garage door and your gate, you can rely on us to fix them at a fraction of a cost, because now our technicians can handle both jobs. No more need of another specialist. Whether a simple repair or an installation of a fully automated gate, rest assured that our technicians can handle everything from start to finish. We guarantee that our customers will be satisfied. With the same high quality service we give to garage doors – same can be said with our gate service. We have acquired a wide selection of designs for you to choose from. From wooden gates, steel, electric gates or a customized gate, we offer only the highest quality products to assure our customer of its durability and style. We not only give each customer the best products but also the best service. We will install, maintain and repair everything that is needed so that you can rest easy and trust that everything is in its best condition. Remote garage doors and gates are always exposed to the harsh conditions of the environment. Just like a car in a hot summer day, they can withstand the heat but they will eventually take their toll. With constant use, parts will rust and even motors can malfunction. With a busy lifestyle, you may tend to neglect these repair jobs and in the end it could cost you a little more that it should have. Here at “Garage Door Repair Laguna Hills”, we offer a maintenance program that is properly scheduled to prevent any major damage to your garage door or gate. Even if we did not install your gate, we will maintain it to its best working condition. Every year we see a lot of new technology regarding home security. This includes new designs and safety features in garage doors and gates. 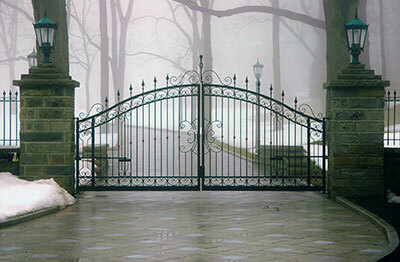 Though gates can be stylish, their main purpose has always been for security. There are gates with fully automated functions that respond to your command and gates and garage doors that can withstand great amount of impacts. These are just some of the technologies we invest in. Along with our high standards in products, nothing is more important to us than getting a job well done, as well as keeping our customers happy and safe. We take pride in what we do and customers trust us. It is that pride that assures our customers that we are the best in what we do.